A story retelling Star Wars: Episode III Revenge of the Sith as if written by William Shakespeare as released on this day in 2015. 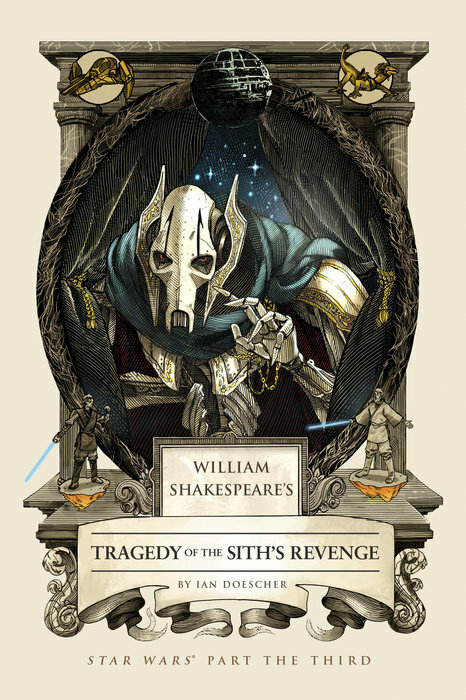 The non-canon book William Shakespeare's Tragedy of the Sith's Revenge: Star Wars Part the Third , was one of a series of novels written by Ian Doescher. Ian Doescher is an author who wrote William Shakespeare's Star Wars in 2013 followed by sequels The Empire Striketh Back and The Jedi Doth Return in 2014. 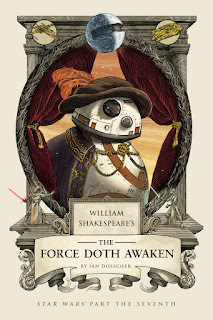 In 2015 he published three Prequel novels in Shakespeare form including The Phantom of Menace and The Clone Army Attacketh. Tragedy of the Sith's Revenge follows the fall of house of Skywalker, a collaboration between William Shakespeare and George Lucas that's filled with jokes and soliloquies. The publisher Quirk Books described the book as "presented Shakespeare-style with masterful meter, stirring soliloquies, and intricate Elizabethan illustrations. It's a perfect melding of classic literature and epic pop culture!" It tells the tale of how a once-heroic knight was transformed into the darkest of villains and how the Republic fell and the Empire rose and so began the long wait for a New Hope. Ian is set to release his next Star Wars novel in a month's time with William Shakespeare's The Force Doth Awaken Part the Seventh. Who remembers reading these Shakespeare adaptations? Let us know your thoughts in the comments below.